As the Beatles sang in their 1964 hit, “Money Can’t Buy Me Love,” Sen. Heidi Heitkamp’s millions of dollars collected in the wake of her vote against Trump Supreme Court Justice Kavanaugh weren’t enough to sway North Dakota’s Republican bias, and she took areal thumping in her race against Congressman Kevin Cramer for the U.S. Senate. Midterm elections are notorious for a big dropoff in voter numbers. Not this year. In 2014, the last midterm, when North Dakota’s population was peaking because of the oil boom, 255,000 voters showed up at the polls. This year, the total was 329,000, up almost 75,000 from 2014. Go figure. In 2012, a presidential election year, when Heidi was elected, there were 326,000 voters — fewer than this year’s midterm. Heidi got 161,000 of them. Rick Berg got 158,000. The population of North Dakota in 2012 was just starting to swell with the oil boom — it was about 700,000. The population today is likely around 750,000. A huge number of those new people could be Republicans. A whole bunch of people who voted for Heidi in 2012 bailed out on her in 2018. Or Republicans did a way better job of turning out their voters in 2018, and Democrats failed to do that. I heard Heidi say a couple of times on the campaign trail she needed to find 150,000 votes to win, so she was obviously expecting about 300,000 voters. But 329,000 showed up. If she had gotten 6,000 of Cramer’s votes, to get her to 150,000, she’d still have lost by more than 20,000. So obviously, her campaign seriously underestimated the turnout. (To be fair to her, so did I.) Nobody counted on THAT MANY Republicans to show up, a serious miscalculation. A sophisticated campaign like Heidi’s shouldn’t have made that mistake. I also had campaign insiders tell me four days before the election that her own poll had her down by just 3 percent. Given her history, I believed that if it was that close, if she was within the margin of error, she’d win. But polls don’t measure turnout. Frankly, I think the Republicans did a better job of finding their new voters, especially among those 50,000 people who moved here since 2102 (and if they came here because of the oil boom, they are more likely to be Republicans) and getting them to the polls. They’ve been doing that the last few elections. Democrats have some catching up to do if they’re going to be competitive. If indeed many of those 50,000 new residents are Republicans, and they’re likely here to stay for a while, that means there will continue to be more Republicans in North Dakota than Democrats, so all the Republicans have to do to win is to get their voters to the polls. Democrats need to get every one of their voters to the polls AND convince independents who vote, to vote for Democrats. Their job is harder. All the King’s horses and all the King’s men couldn’t stop a couple of badass grandmas from shepherding a good government measure to victory last Tuesday. Measure 1, which establishes a State Ethics Commission and makes lobbyists accountable for their expenditures to influence government, passed easily. Now it’s up to the Legislature to implement the mandates set out in the new Article XIV of our State Constitution. The measure passed in spite of a big, well-financed lineup of energy and industry heavy hitters in opposition, at least partly because of the professional management of the campaign by young Mandy Kubik from Dickinson, who succeeded in attracting national expertise and financial support for the measure. The “Badass Grandmas” — Ellen Chafee and Dina Butcher — who hired Kubik ran an aggressive campaign with the funds they raised, spending them wisely, and while they couldn’t match the spending by business groups who financed the opposition, they were more effective, in part because as my friend Tracy Potter used to say, paraphrasing Alfred Lord Tennyson, “their strength was as the strength of ten because their hearts were pure.” They were the good guys in this contest, and sometimes the good guys win. My old friend Perry Miller from Wahpeton came up 24 votes short in his State Senate race in District 25. Dang! Possible recount — 24 votes out of more than 6,000. Perry’s popular in his home county, Richland, but Republicans gerrymandered his district, taking out some Democrat-leaning Richland County townships and adding some Republican-leaning Cass County townships during the last reapportionment. Perry won his home county, Richland County, by 215 votes but lost in Cass by 239, leaving him 24 votes behind. I hope he asks for a recount. Starting in December of this year, North Dakota’s congressional delegation will be all Republican. The last time our congressional delegation was all Republican was in 1959. Sen. Bill Langer died that year and was replaced in1960 by Democratic-NPL Sen. Quentin Burdick, who remained in office until he died in 1992. That began a remarkable span of almost 60 years, from June 1960 until December of this year, in which at least one of our senators was a Democrat. North Dakota’s delegation became all Democrats in 1986, when Kent Conrad defeated Sen. Mark Andrews to join Burdick and Congressman Byron Dorgan in Washington, and the delegation remained all Democrats for 24 years, until John Hoeven’s election in 2010 when Dorgan retired. It’s going to be a long, long time before that happens again. The Democrats didn’t lose any incumbents in the Legislature and actually had a small gain, with my old friend, Jonell Bakke in Grand Forks’ District 43, picking up a Senate seat. Jonell served earlier, from 2006-2010, then losing to Lonnie Laffen by a margin of 2102-1872 in 2010. She lost to him again in 2014, with Laffen getting exactly the same number of votes, 2102, to Jonell’s 1841. But the third time’s the charm. This year more than a thousand new voters showed up at the polls in District 43, and Jonell beat Laffen by a margin of 2684-2416. I’m not sure what inspired more than a thousand new people to vote in her district, but Jonell managed to bring two new House members with her, with Mary Adams and Matt Eidson filling the seat vacated by retiring Democrat Lois Delmore and defeating Republican Rep. Rich Becker. Buffalo will be the Legislature’s only female Native American legislator (and the first in my memory) and also one of the body’s most highly educated members, with three master’s degrees. She’s been a Fargo community activist, a Democratic-NPL endorsed candidate for state insurance commissioner in 2016 and is married with four children. Look for her star to rise quickly in the North Dakota Democratic-NPL Party and in North Dakota state government. With the small Democratic-NPL gains Tuesday, the breakdown of the Senate is 37 Republicans and 10 Democrats. In the House it’s 79 Republicans and 15 Democrats. So in the Legislature, Republicans hold 82 percent of the seats. In the Capitol tower and the U.S. Capitol, it’s 100 percent. There were a few Democratic-NPL candidates — Josh Boschee, Kylie Oversen, Mac Schneider — who I thought might have an outside chance at getting themselves elected, to give Democrats a presence once again in the Capitol. Sorry, Kylie, Josh and Mac. You ran good campaigns, but you had a fatal flaw. You had the word “Democrat” next to your name. Which leads me to these thoughts. For all intents and purposes, the North Dakota Democratic-NPL Party is bankrupt. 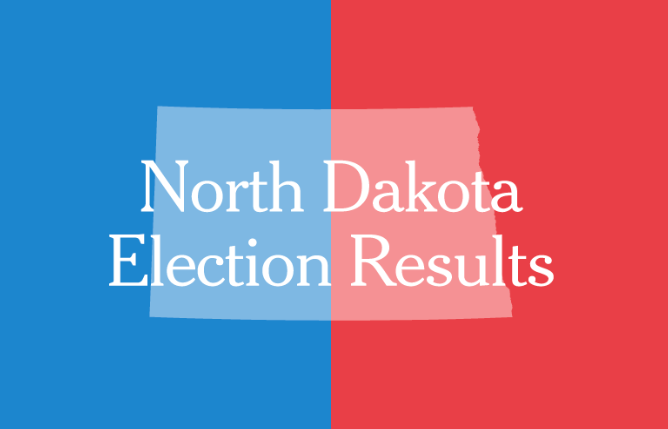 North Dakota is now a one-party state. That’s sad because it wasn’t so long ago that we had an active two-party state government. Now the Democratic-NPL Party has ceased to exist. It is no longer competitive in elections. It no longer plays a role in governing North Dakota. This is the party of Backes, Buckshot and Barth, and of George Sinner, Byron Dorgan and Kent Conrad, strong leaders who gave us a coal severance tax and an oil extraction tax, providing funding for the creation of the best elementary, secondary and postsecondary education system in America. This is the party that gave us leaders in government like Bill Heigaard, John Schneider, Rick Maixner, Bruce Hagen, Walter Christenson, Byron Knutson, Wayne Sanstead, Roger Johnson, Tracy Potter, Jim Kusler, Myron Just, Lloyd Omdahl, Robert Hanson, Glenn Pomeroy and his brother, Earl Pomeroy, our fifth and longest-serving Democrat-NPL congressman. This is the party that recognized women as equal partners in government, the party of Corliss Mushik, the state’s first female assistant House majority leader; and Tish Kelly, the state’s first female speaker of the House; Ruth Meiers, the state’s first female lieutenant governor; and the party of Sarah Vogel, our state’s first female agriculture commissioner; and Heidi Heitkamp, our state’s first female tax commissioner, attorney general, and elected U.S. senator; and the party that appointed our state’s first female North Dakota Supreme Court justice, Beryl Levine. Whether it will rise from that ash heap to once again represent the proud traditions of Prairie Democracy is open to question. Will new leaders emerge? Will old leaders re-energize? Or does North Dakota head into the future as a one-party state, the reddest of red, with a government once again dominated by the outside business interests that led to the prairie rebellion called the Nonpartisan League, which after merging with the Democratic Party, provided decades of government by and for the people of our state.